Leadership can be stressful. Managing projects, people, budgets and more can pile up and feel overwhelming. We can get stuck following our calendar or our to-do lists and forget to check in with ourselves or take a break. While many people think this is focus on the project at hand, it is detrimental in the long-run – or even on a daily basis. Lately there’s been a lot of talk about being present and mindful. People are meditating more and even companies like Google, Aetna and General Mills implement mindfulness programs for their employees. These companies have found that mindfulness doesn’t just help employees manage stress – it also helps them perform better and become better leaders in their businesses. Mindfulness is quickly becoming a leadership skill that improves upon all other skills. Mindfulness is about bringing our attention to the present moment and what we are doing right in the moment. Mindfulness is about being able to put down the multi-tasking and only focus your attention on the task, meeting, conversation, or project in front of you. It’s also about checking in with your body to check stress levels and how you are feeling. Even leaders are real people with bodies that need some care. The better we care for our bodies, the better we can focus and be mindful in our work. Mindfulness is like caring for your mind and allowing it to focus on one task at a time. Let’s face it, we can work while we are on a conference call, but we aren’t as connected to the people talking AND we aren’t putting our full focus on our work. It may seem like getting two things done at once, but you are stressing your body out and still not getting your best work. It’s better to focus on one at a time. Model the behavior you want to see. If you want them to focus their attention on one task at a time or take short breaks to meditate and re-center, then you have to model it and allow space for it. Host a Mindfulness Workshop. 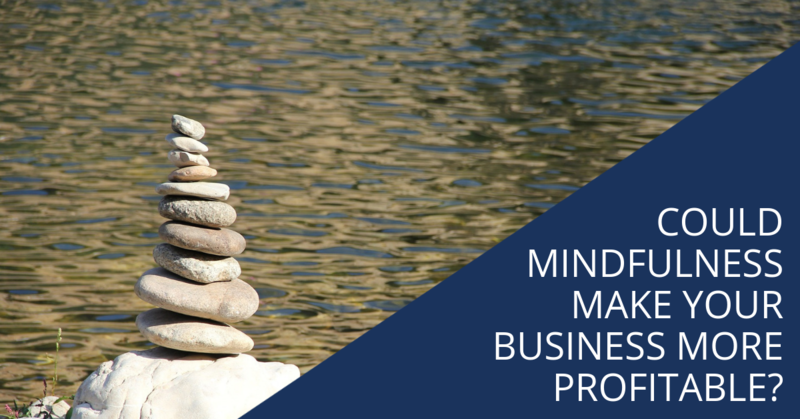 By George Coaching offers hands-on workshops to help your team and leadership become more mindful. We’ll teach the tools to your whole team if you like or just the key people you choose. Offer an employee deals on local mindfulness courses or mediation courses to improve their mindfulness skills. Mindfulness coaching for leaders or employees. By George Coaching can work one-on-one with you, your leaders or employees to work on some mindfulness skills. You’ll get reports and be able to measure the results. Encourage employees to take uninterrupted lunches and breaks to give their brains time to refresh. You’ll likely see more productivity than if they had been behind a desk or working 8-10 hours straight. Mindfulness may seem like it is a nicety to have, but companies that invest in the tools and training see a big impact to their bottom line and the connection on their teams. Contact us if you would like to discuss some options for getting your business and teams more focused and productive.